2012 was not a year BlackBerry would like to remember, it was the year the Canadian company realised it needed to change. So it was back to the drawing board & as a result we have the brand new Blackberry 10 OS. BB 10 sees the implementation of a whole new user interface, doing away with the familiar BlackBerry system we all are so used to. So what’s exactly new about this OS? What can you expect from it? Is this the key to BlackBerry’s success or it’s timely demise? 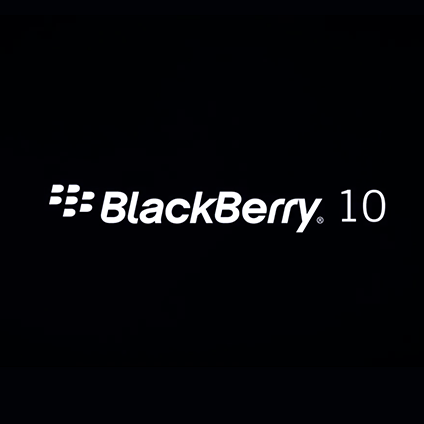 BlackBerry has launched 2 brand new phone which run on the BB 10 OS, The Z10 & Q10. The Z10 is a full touch screen phone whereas the Q10 is a touch-and-type which comes with the much loved physical QWERTY pad of BlackBerry. User Interface: Even if you have been a long-term BB user, the changes will take you by surprise. There is definitely a learning curve involved in understanding the BB 10. But once you get your head around it, you will enjoy the new features this OS provides. With no back button present, finger gestures are key to getting used to the OS. A start guide is available on the phone to help you with the same. Applications: On the launch 70,000 appsare estimated to be avialable in the BB world store for BB 10. Although this may be 10x less than what Android has, it has the highest number of apps available during a launch for any OS in history. Your social apps like FB, Foursquare, Twitter & LinkedIn come pre-installed. Famous apps like Angry Birds, Skype, WhatsApp will also see a BB 10 version soon. One other major milestone which BlackBerry achieved was getting into partnerships with major film studios & television studios & record companies to sign on the BB world. With this BB users will now be able to consume a large amount of audio & video content. BlackBerry Hub: Perhaps one of the best parts of the OS is the BlackBerry Hub. It is the universal inbox of BB 10. You can access all the information on your phone. From calls, text & emails to BBM & all your other social updates. All these can be seen by using the ‘Peek’ function. Just slide your fingers from the left of the screen & you can see what your Hub has for you. This is one innovation other OS might look at with some envy. Blackberry Balance: Blackberry was one of the pioneers of push emails, and in it’s initial years was marketed as a business phone. Keeping this in mind as well as that now its a total smartphone, the BB 10 comes with a build-in software aptly titled ‘BlackBerry Balance’. Users can create separate personal & work accounts & shift from one to the other by just swiping down from the top of the screen. If an employee ever leaves a firm, IT admins can delete content stored in the Work section, allowing the employee to take the device with them. The new BBM: The BlackBerry messenger has been a corner stone of Blackberry since its inception, and with the BB 10 the BBM also gets a host of new features. The BBM Video has now launched by which users can also make video calls on the messenger. The users can also see what’s on the screen of the other person which can be used to share documents, images etc. easily without emails. The new Keyboard: Blackberry handsets have always been known for the quality of their keyboards. The new keyboard is designed to adapt to the way an individual types. It predicts the next word you are going to type & gives you a variety of options depending on what sentence you are typing. Just flick your finger up to enter that particular word. Camera: The camera in the BB 10 has a new function called ‘Time Shift’. The people at Blackberry are particularly excited about this feature. By choosing the ‘Time Shift’ option users can now click a picture and can then literally go back in time and select the perfect moment of the picture. With the ‘Story Maker’ function Bb users can edit photos & videos and add music to create a movie of their own. Browser: The new browser has adapted the minimalistic style of the current offerings on the other devices. The URL on the bottom of the page is reminiscent of the new Internet Explorer which is available on Windows Phone 8. The ‘Peek’ function plays a role here to, by which you can easily see History, Bookmarks, New Tab and your currently opened tabs. Blackberry has put all its might & knowledge into the BB 10. With the BB10 OS it hopes to bounce back and get back into the smartphone war. The BB 10has loads of new stuff.BB 10 specific applications are potential able to reach an audience which is loyal to the brand & and may have limited competition.. Reports suggest that by 2014 at least 20 million BB 10 phones will be in use. Pocket App is ready to build BB 10 specific apps so speak to your Account manager or email contact@pocketapp.co.uk.